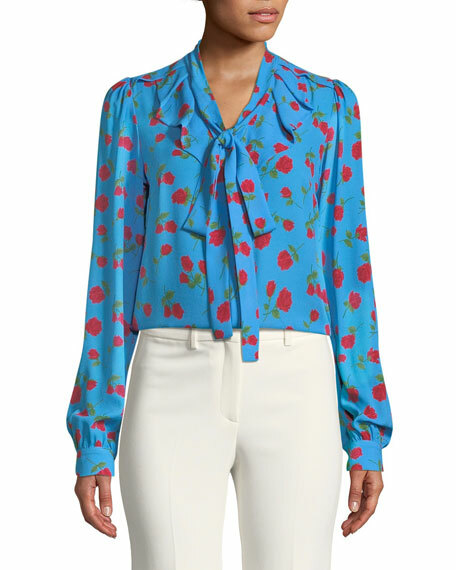 Michael Kors silk georgette blouse with scattered rise-print. 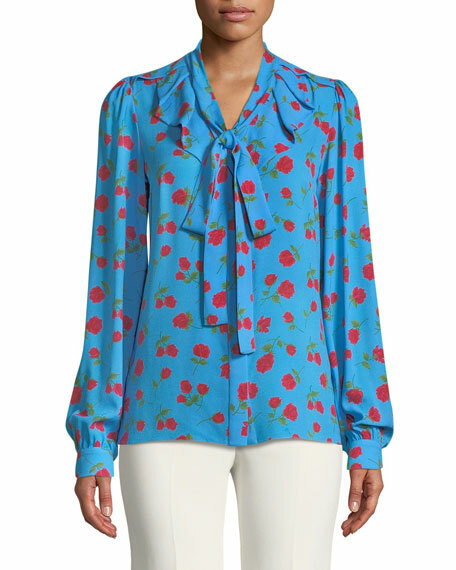 Ruffled V neckline with ties; placket conceals button front. For in-store inquiries, use sku #2561753. 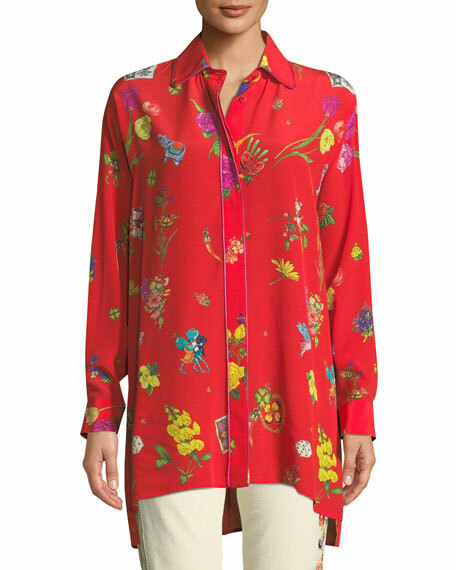 Etro blouse in novelty print silk georgette with piping. 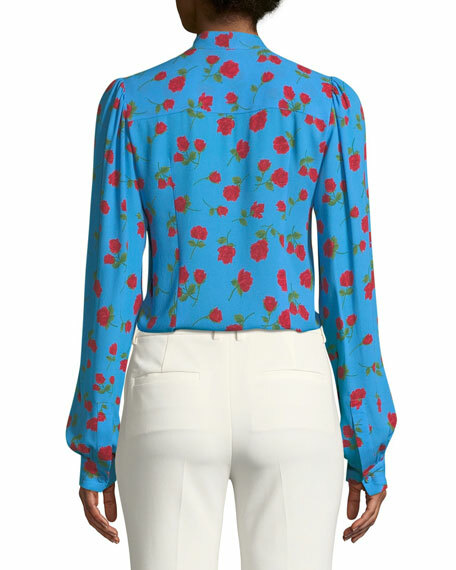 Spread collar; hidden button front. 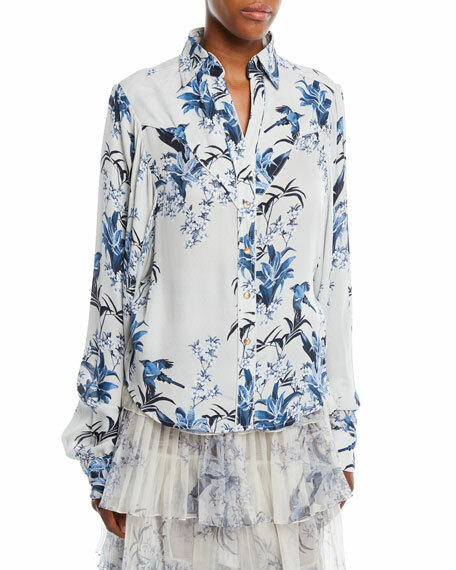 Long sleeves; button cuffs. Yoked, pleated back. Oversized fit. Step hem. Piping, acetate/nylon. Made in Italy. 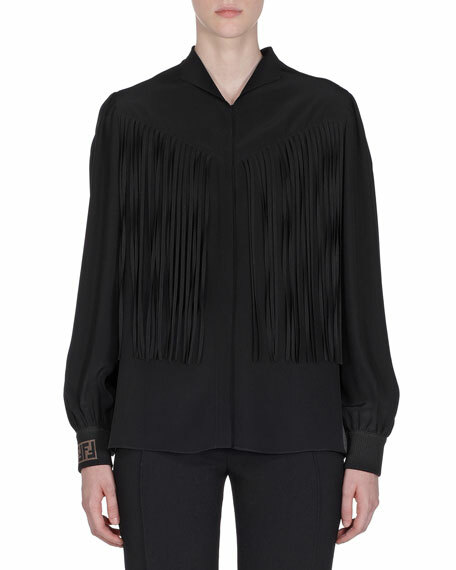 Fendi blouse in silk georgette with fringed yoke. Spread collar; hidden mother-of-pearl button front. Long sleeves; logo printed cuffs. Semi-fitted. Hem hits under hips. Silk. Trim, polyester/nylon/spandex. Made in Italy.